A new composite stable door will really give a stunning entrance to any home, and with a vast range of styles, colours and glass options, you'll be sure to customise a new composite stable door that truly suits your home. 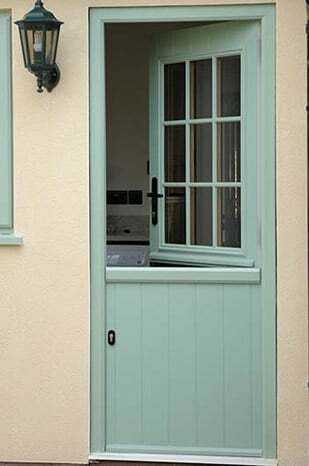 We also offer UPVC Stable Doors as as alternative. Prices starting from only £1074.00 All our prices include VAT Delivery is FREE! Composite stable doors offer a versatile, practical solution that allows the top half of a door to open whilst the lower half remains closed – with the additional option of opening both segments together as a single door. Composite stable doors are ideal for families who want to keep an eye on children or pets playing outside in the garden, monitoring arrivals or departures from a property, or for keeping toddlers or dogs safely indoors. Available with two solid half-door panels or with the top panel glazed, a robust locking system ensure maximum security. Why choose our stable doors? 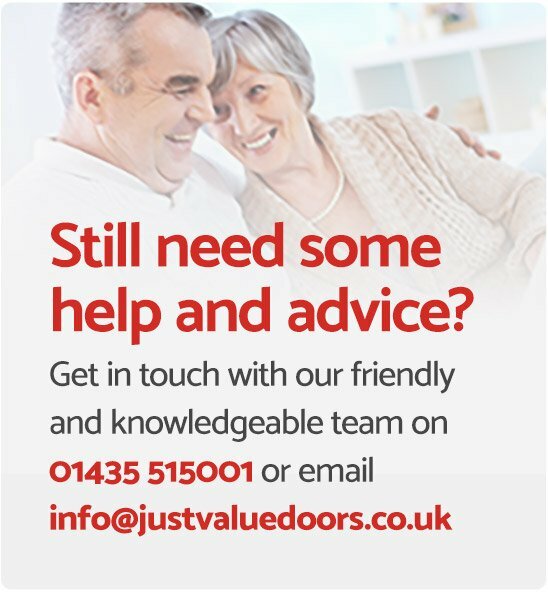 So you're in the market for a new stable door, well here at Just Value Doors we know exactly what you need out of a new external stable door; good looks, good quality, high security, practicality and piece of mind. Our external stable doors certainly tick all the boxes and are built from the highest quality materials.We give a full 10 year guarantee with each stable door uk and already have many happy customers, just check out some of our exterior stable door reviews, they speak for themselves. We offer both upvc stable doors and composite stable doors, with both types offering mostly the same benefits, however with a composite stable door operating slightly differently. Read on to find out more.. It can seem logical to think a double glazed stable door would be less secure however this is simply not the case. 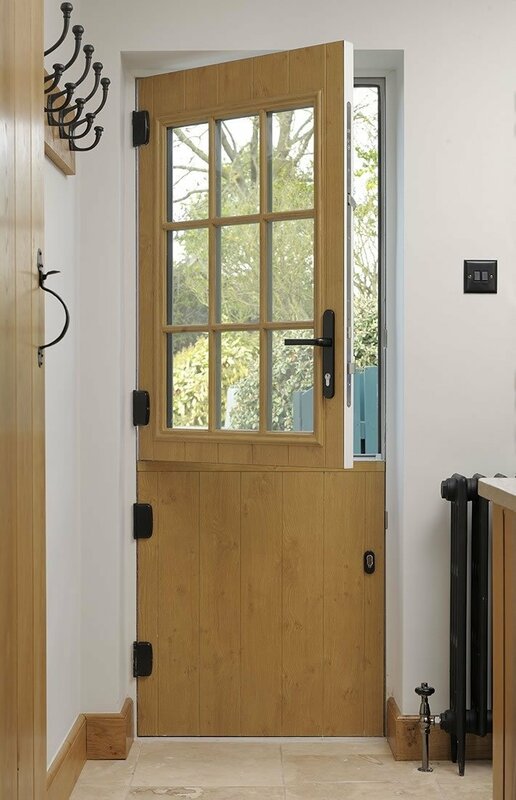 Although there are two independently operating doors we use a clever, high quality multipoint locking system, that not only locks the exterior stable doors to the outer-frame, but also to each other, giving extra strength and rigidity. How does a composite stable door operate? A composite stable door operates by the use of two completely independent doors fitted within the same frame. Okay, so let's imagine both you're double glazed stable doors are open and you're standing inside the property. You can either close and lock both doors together, or close and lock just the bottom half, followed by the top to secure. Then to lock the external stable door from standing outside, it operates in exactly the same way. You can either close and lock them both together or just close and lock the bottom first followed by the top. The operation of locking and unlocking can be done from both side of both doors. How will my stable style door arrive? 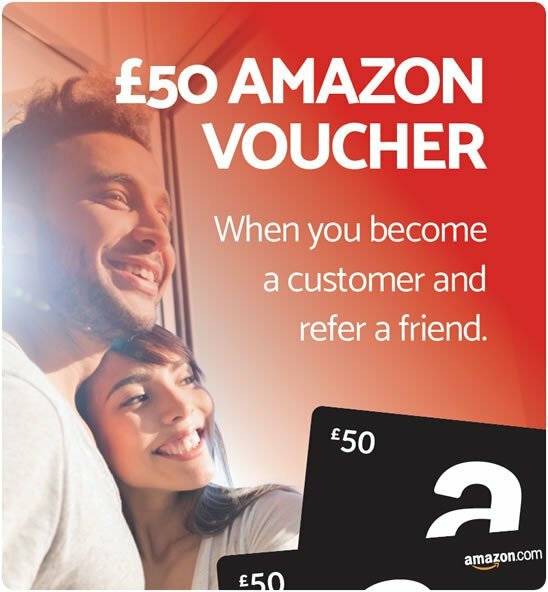 Please note this will only apply to "supply only" orders as if you choose our survey and fitting service the door will arrive with the fitters on the day of installation so you needn't worry. 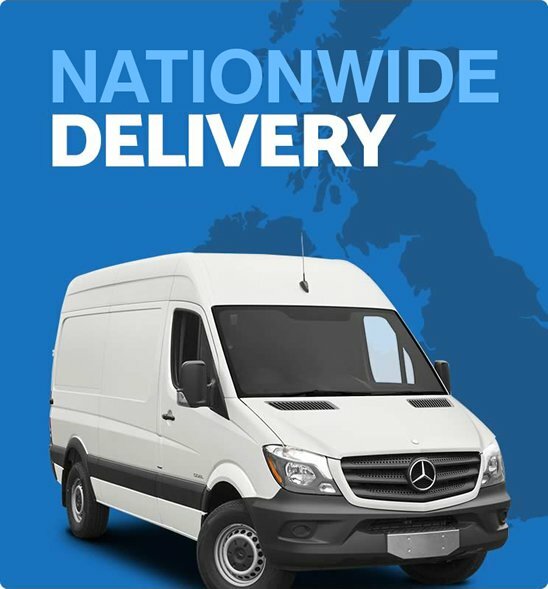 Whether you order a stable back door or stable front door we make sure it arrives in pristine condition. Both the upper and lower doors will be pre-hung in the outer-frame and fully glazed ready to fit. 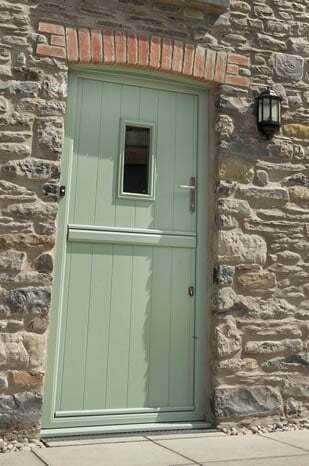 Some stable doors for sale on today's market are far from energy efficient, so if you're looking for cheap stable doors, it's wise to keep an eye on quality levels and check whether you get a genuine guarantee or not. 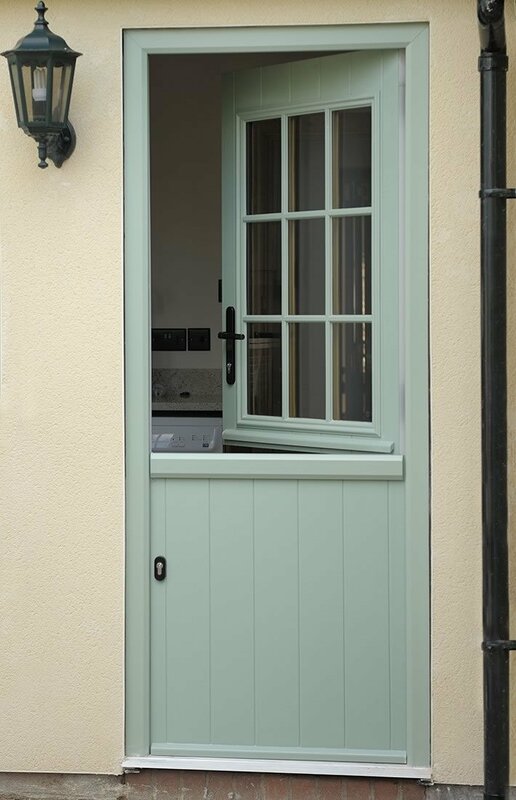 We offer a thermal upgrade option which upgrades the makeup of the glass used in the made to measure stable door, in turn giving a better thermal performance. Our bi folding doors are available in a vast range of 17 colours. If you would like to see a colour sample please get in touch and we'll pop one in the post to you. Composite stable door prices do differ depending on which colour you choose, with white being the standard colour, so do bare this in mind when you're ready to buy a stable door. Our Stable back doors for homes demonstrate door security at it's best. Once your new nine pane stable door is fitted you'll need to look after it, but don't worry they don't need much maintaining. Just giving your half glazed stable door a wipe over once a month, along with a drop of oil on the moving parts will do it. 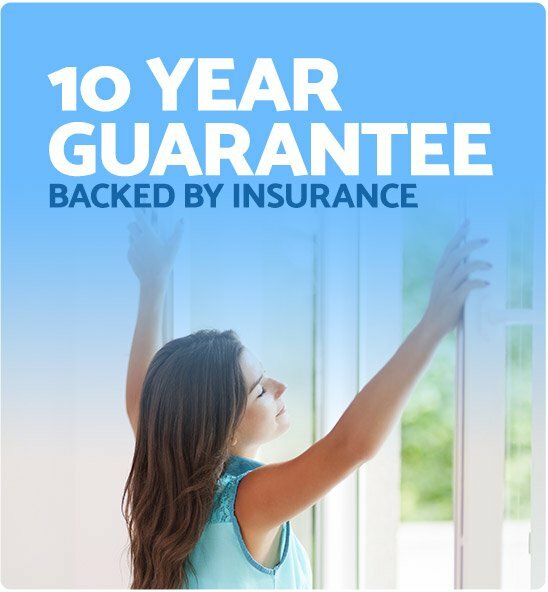 For more information on maintaining your new house stable door you can see our guarantee page here. If you require any information on fitting a stable door, pricing, colour samples or anything else please don't hesitate to get in touch with our friendly team offering stable doors for sale uk.